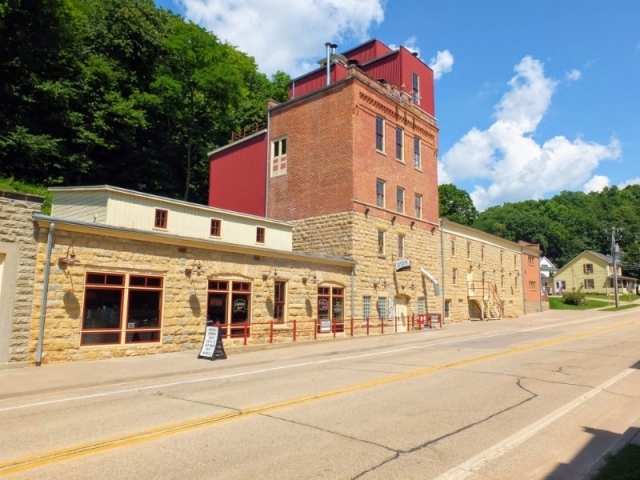 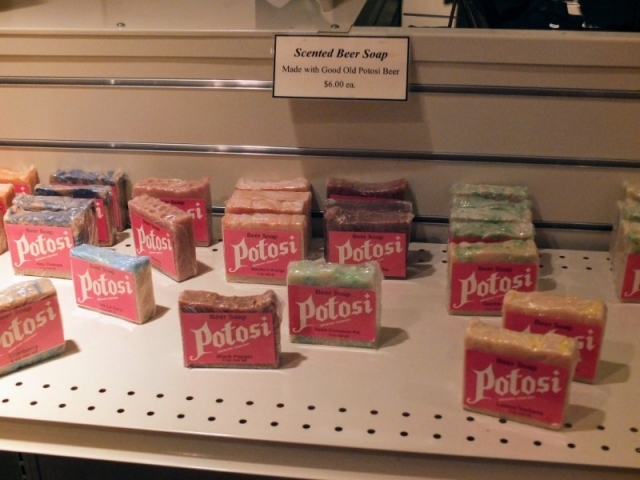 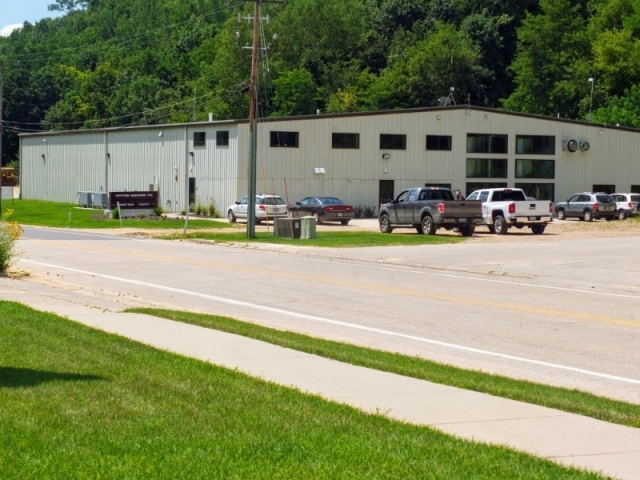 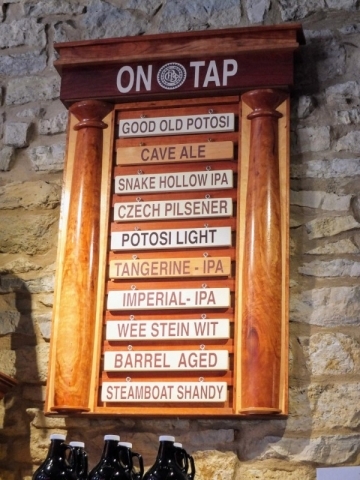 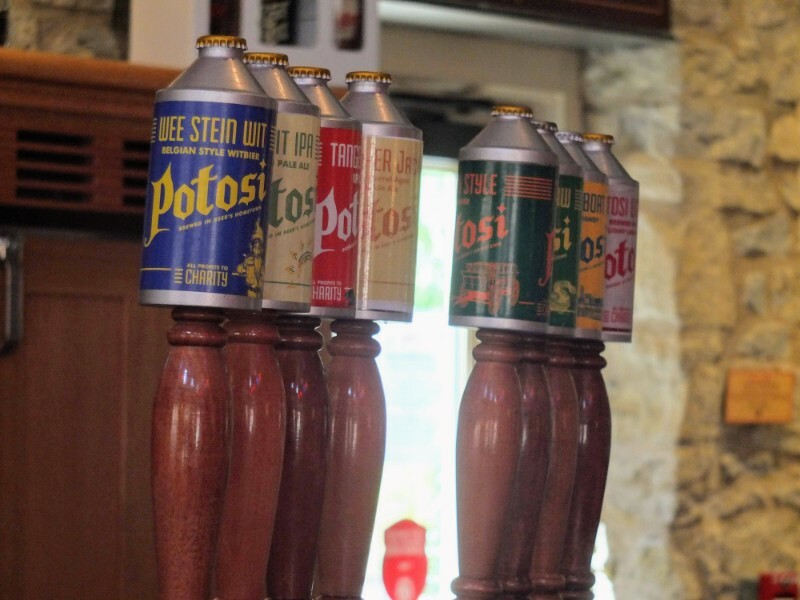 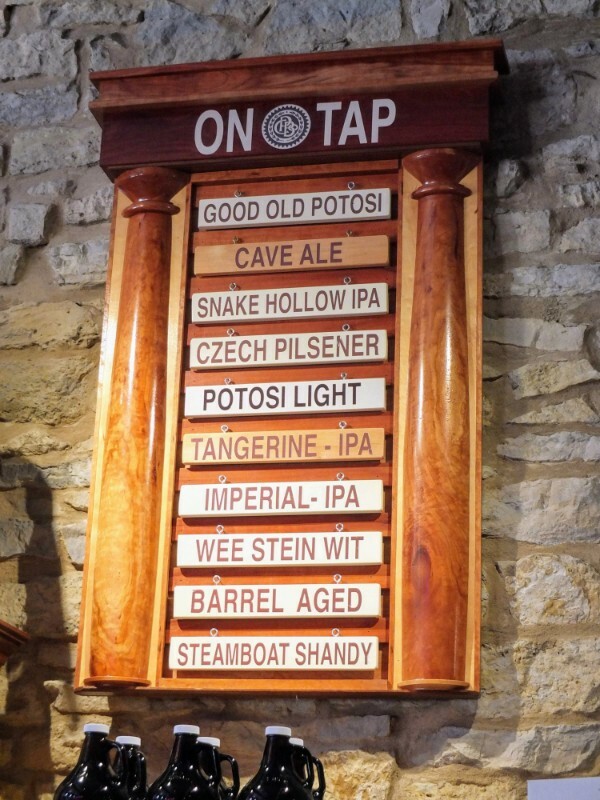 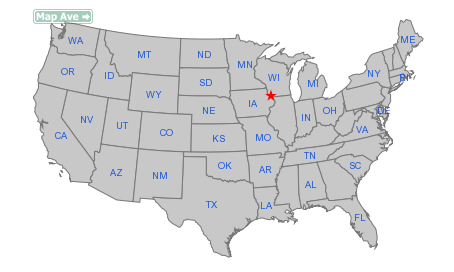 location of Potosi, WI in U.S.A.
Did you know that the nation’s brewery museum is housed in an historic brewery building in a remote, rural community in southwestern Wisconsin? Ever hear of an organization called the American Breweriana Association? 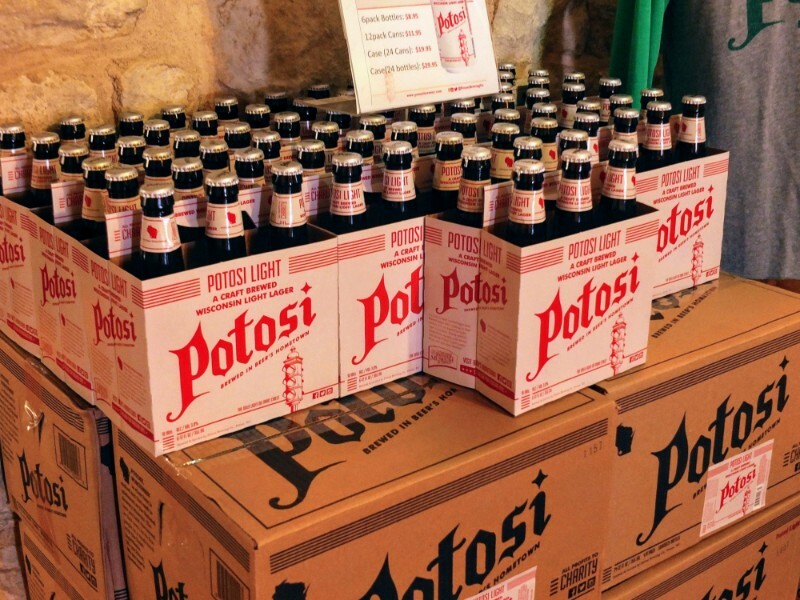 I hadn’t before stopping at Potosi on a long drive from New Mexico to Milwaukee. In fact, I had never come across the word “breweriana” so I had to look it up. 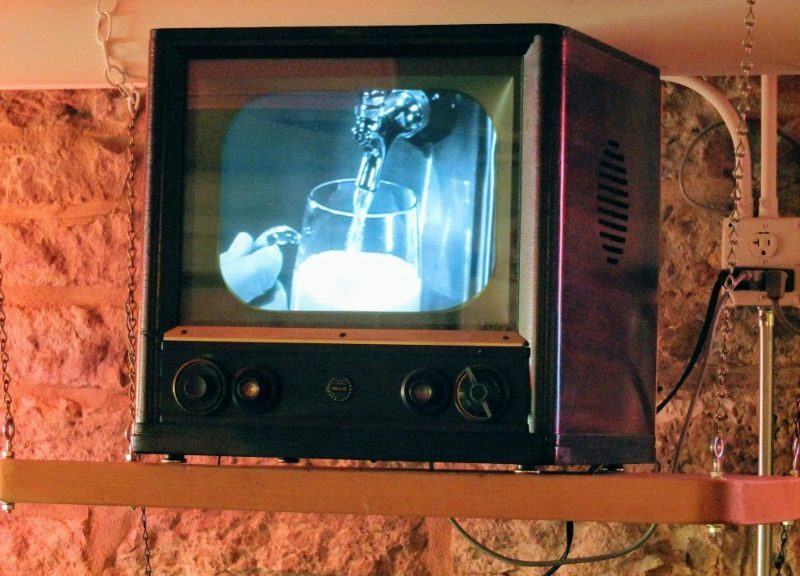 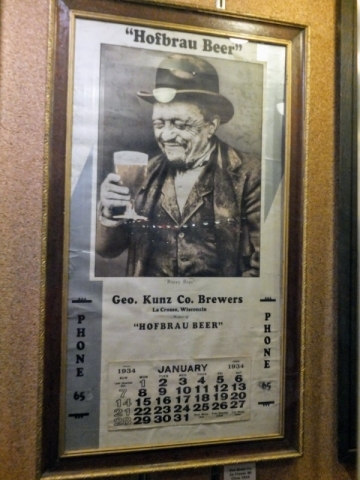 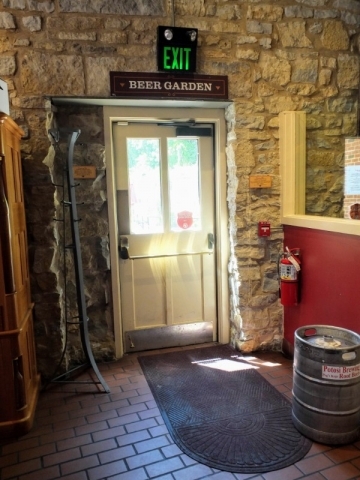 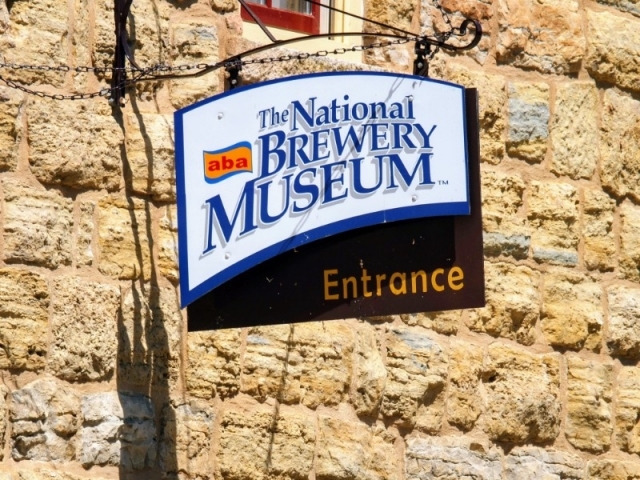 Breweriana refers to items or artifacts containing a brewery name or brand name, usually in connection with being a collector. 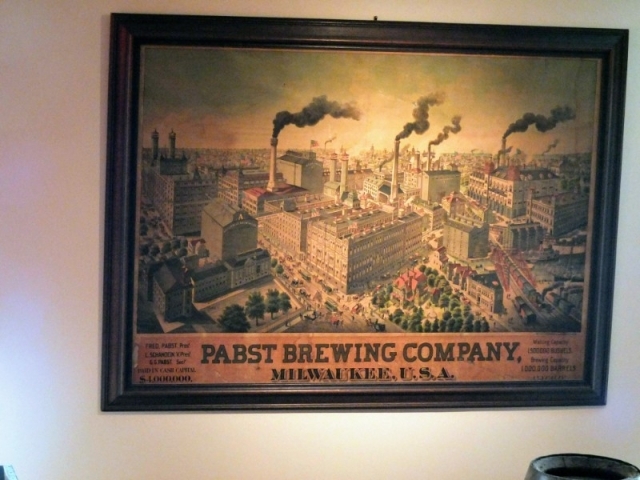 Examples include beer cans, beer bottles, glassware, steins, bottle openers, beer labels, signs, coasters, beer trays, tap handles, wooden cases, advertising, and promotional materials. 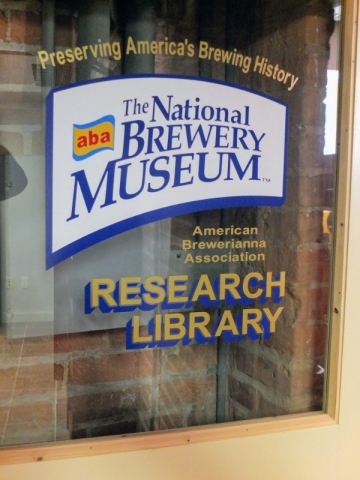 The American Breweriana Association is a non-profit with nearly 3000 members. If you are a collector or lover of “beer stuff”, you should check it out. 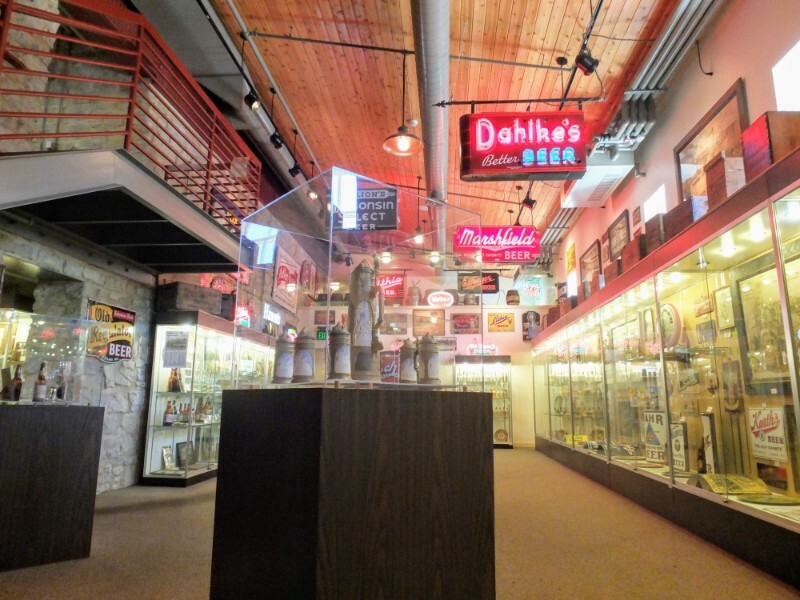 The museum consists of several floors with multiple rooms/galleries on each floor. 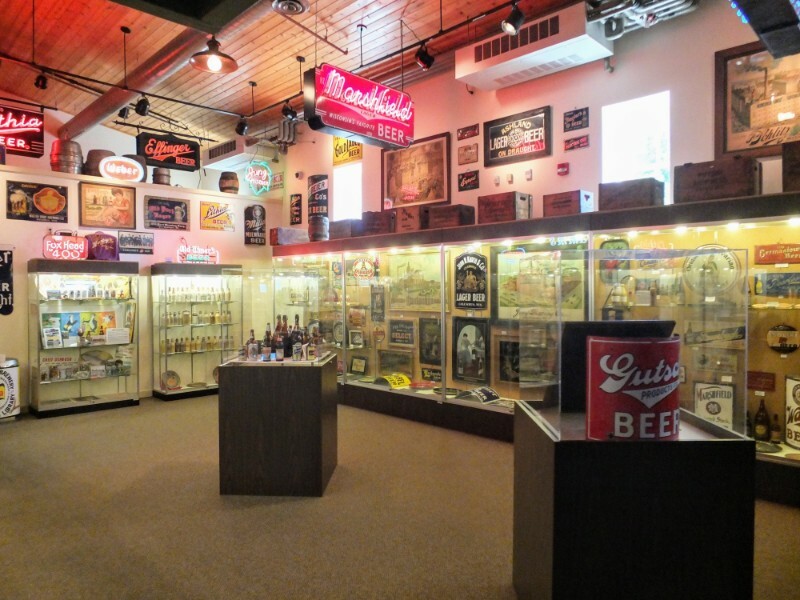 Although there are exhibits about brewing and breweries, this museum seemed to me to be more about collectibles. 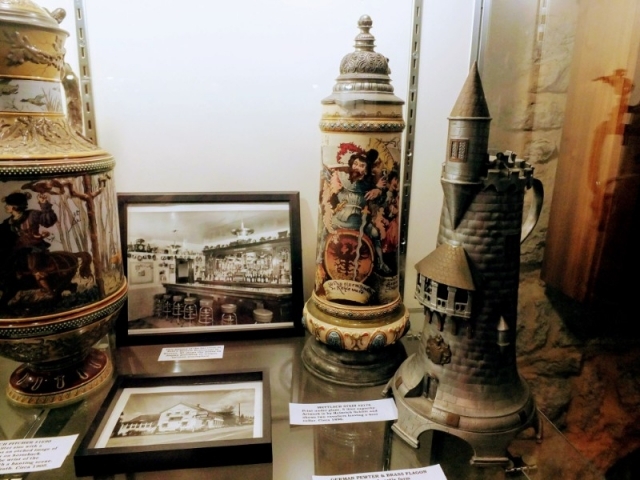 Rooms and galleries are filled with impressive collections of breweriana which I take to having been donated by association members. 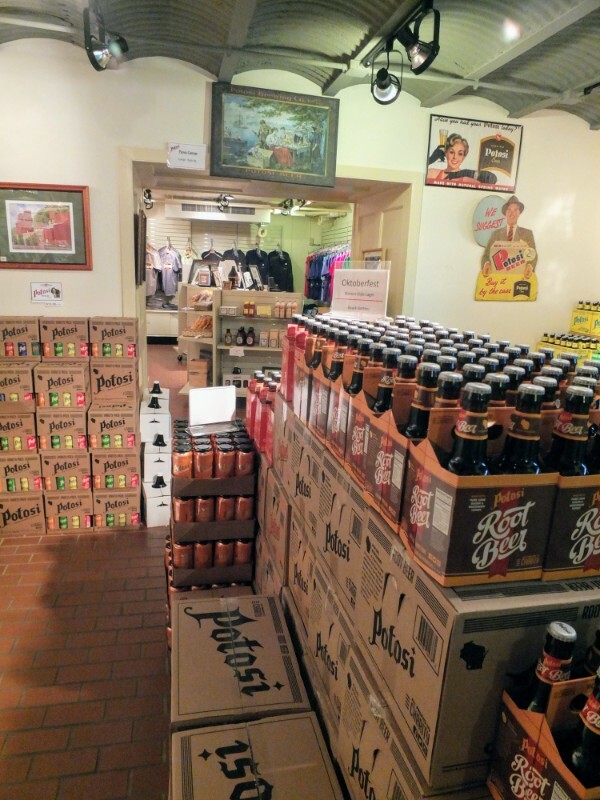 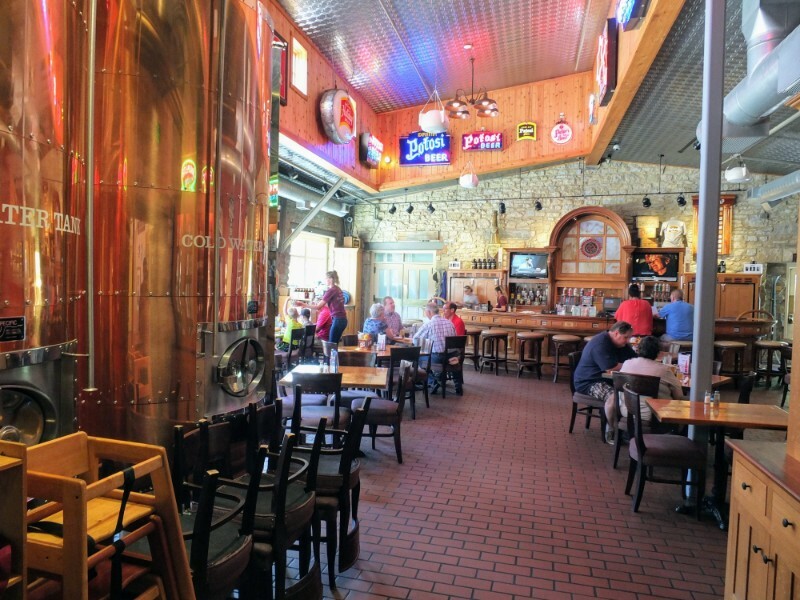 The facility also incorporates a well-stocked gift shop, a research library, and a well-appointed taproom serving a range of Potosi beers from the current Potosi Brewery which is nearby. 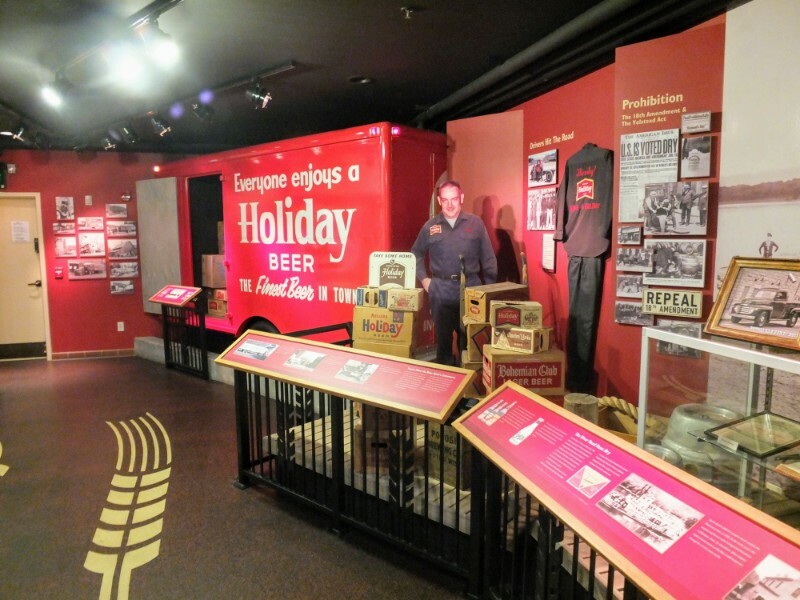 On weekends, visits to the museum can be combined with a brewery tour. 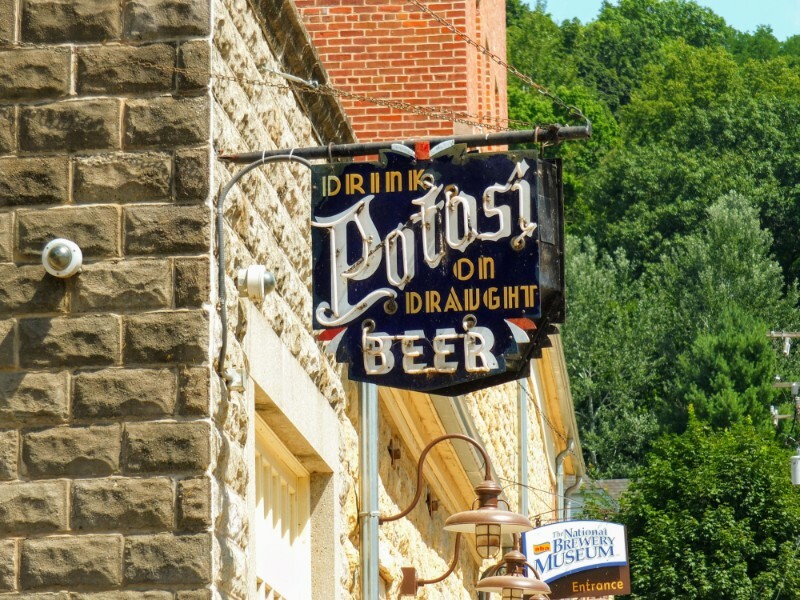 The original Potosi brewery operated from 1852 to 1972. 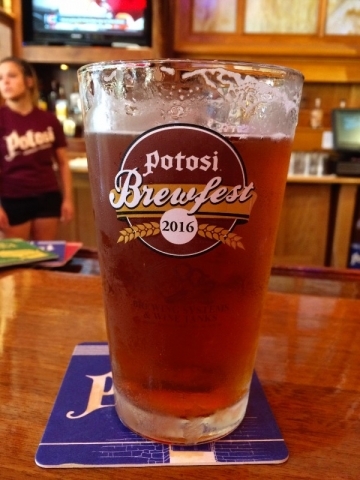 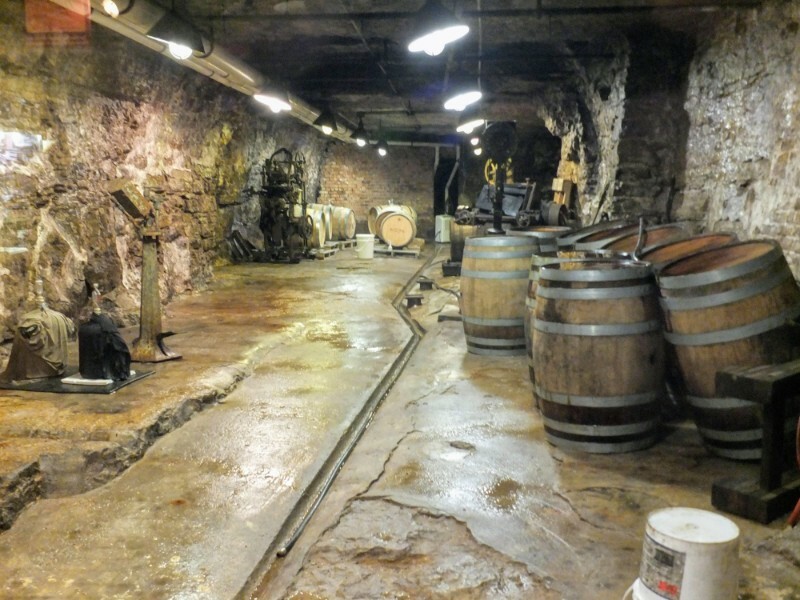 The brewery was revived in 2008 under the auspices of a non-profit called the Potosi Foundation. 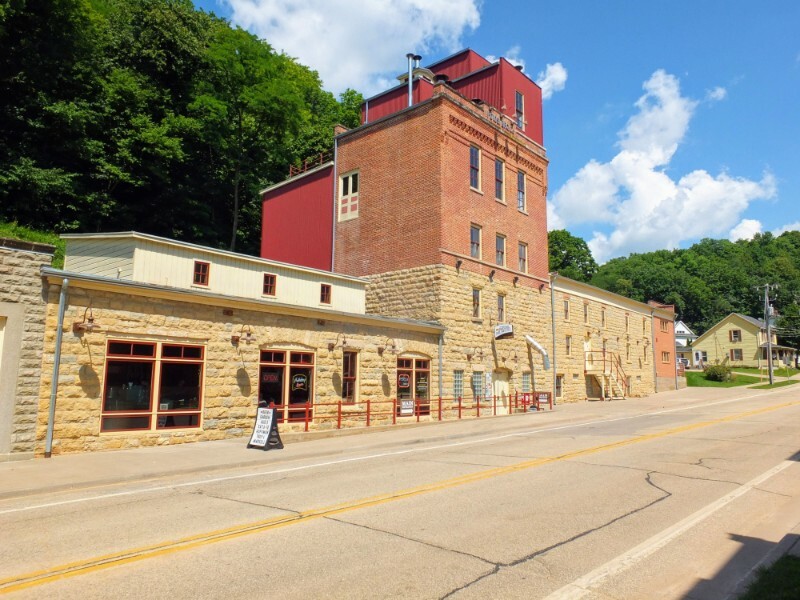 This is a really interesting organizational structure for a small town brewery. The Foundation’s mission is to “spur economic opportunity in and around Potosi, brew only the finest craft beer and to channel all profits into supporting historical and educational initiatives and other charitable causes.” The Foundation partners with the America Breweriana Association in operating the nation’s Brewery Museum as well as operating a second museum — the Potosi Brewing Company Transportation Museum. 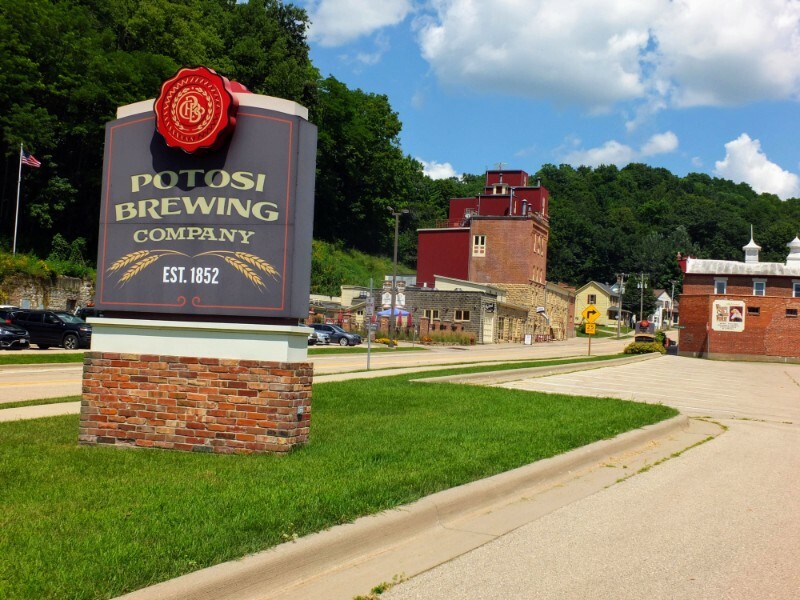 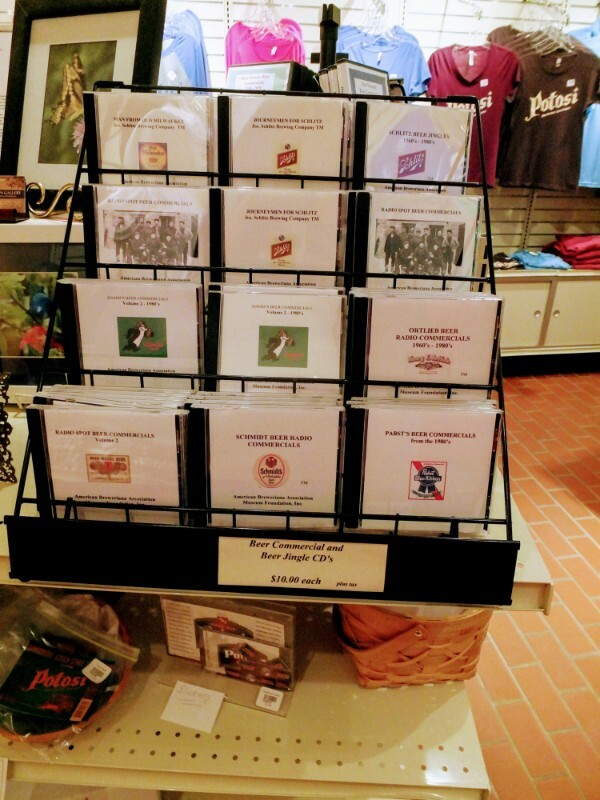 Potosi is a waystop along a cultural heritage route called the Great River Road Scenic Byway along which there is a network of 70 museums and attractions in a 3000 mile stretch passing through ten states. 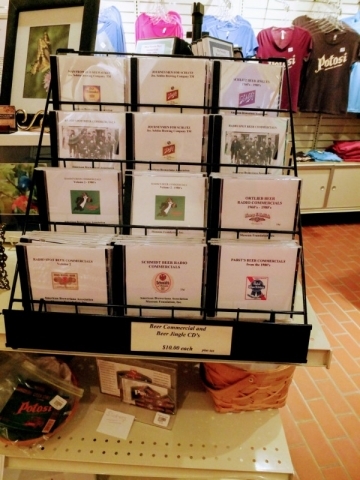 These sites collectively interpret the history of the Mississippi River. All said, a stop at Potosi was an interesting and fun break during a long drive.